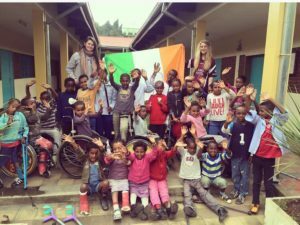 Sorcha Galvin, from Moate, Co. Westmeath, is a student at DIT who volunteered with VLM in Alemachen, Addis Ababa, Ethiopia last June. “In this life, we cannot always do great things, but we can do small things with great love”- Mother Theresa. 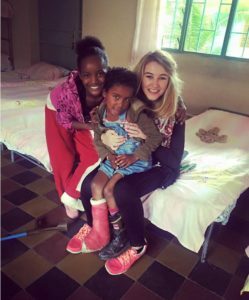 Sorcha Galvin, VLM volunteer, with children at Alemachen Rehabilitation Centre, a project supported by the Vincentian Fathers in Ethiopia. VLM’s moto is to “do one thing, do something.” Ethiopia has previously been stereotyped as a country that has had many problems. Although there may be some truth to this statement, it is important to remember that we although as volunteers can’t help everyone, we can help someone. Before I set about my journey to Ethiopia, I took this piece of advice on board, if even one child’s face could be lit up with a smile, my job was done and what I set out to do would be achieved. I and Elish Therase Campbell, who I was volunteering with, were welcomed by hearty hugs by our hosts, the Daughters Of Charity. These encouraging smiles and outstretched arms reflected the spirit of the people we would meet in Ethiopia; gentle, warm and above all, welcoming. The sisters we stayed with in St Mary’s in Addis Ababa were beyond kind to us and took us in as one of their own. Myself and Elish Therese’s volunteering story took place in a Rehabilitation centre in Addis called Alemachen. “Alamachen” translates to “Our world” in Amharic, and by the end of our three weeks, it was fair to say that the children there were “our world”. Alemachen is a rehabilitation centre for children with various disabilities, mainly orthopaedic disabilities. There were around 30 children there, between the ages of 4-12. They come from different areas around Ethiopia and stay in the centre before and after their surgeries. The centre provides physio on site, as well as full residential facilities. The children stay for several months in the centre. 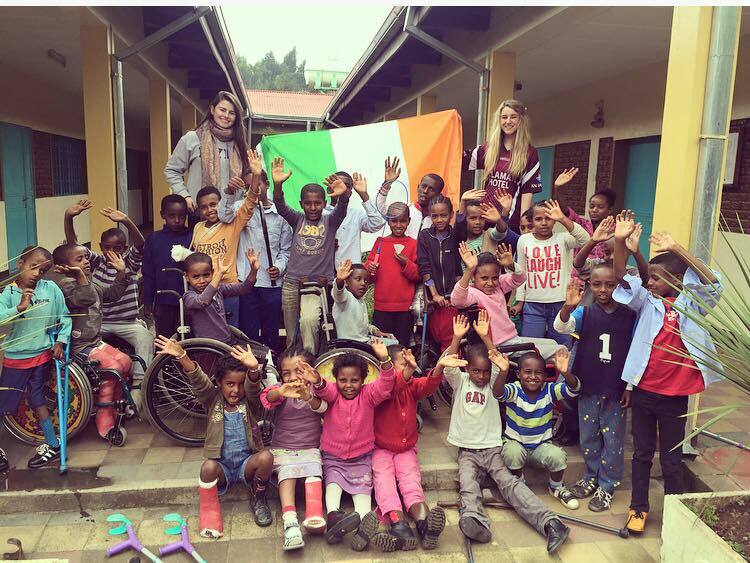 Sorcha Galvin and Elish-Therese Campbell, VLM volunteers, with children from Alemachen Rehab Centre, Addis Ababa. The volunteers spent three weeks facilitating games and activities for these children. Their contribution was much appreciated! We volunteered there during the day time to provide entertainment for the children through games, art, and music. The children’s priority is just to get better and help themselves heal after their surgeries, so our job was to help them enjoy themselves and take their minds off the pain that they were experiencing. The children themselves were amazing and did not feel sorry for themselves one bit! They simply got on with life as if they didn’t have a disability at all, which I thought was really inspiring and encouraging. Although they didn’t really speak English and we certainly didn’t have a clue of Amharic, we communicated through various means, and at the end of the day, love has no language or dialect. We spent three weeks in Alemachen and Addis and I can honestly say it was a life changing experience. Mahatma Ghandi once said “The best way to find yourself is to lose yourself in the service of others”. I found that through my volunteer work, not only did I lose myself in the spirit of the community in Addis Ababa, I also discovered myself too. On behalf of Elish Therese and I, I would like to thank Mary Anne, The daughters of charity and VLM for the opportunity they gave us. It will certainly stay in our hearts for a long time.